Congratulations, you’re moving to Denver! Or at least you’re contemplating it, and that means you’re on the cutting edge when it comes to relocating to one of the country’s coolest cities. And you don’t have to take our word for it: The Brookings Institute made that pronouncement after reviewing Census data showing young adults rank it as the most appealing U.S. metro area and are heading here in record numbers. What’s behind the trend? More than just the jaw-dropping beauty of the Rocky Mountains (though we’d never underplay the gorgeous scenery and awesome outdoor adventures it offers). 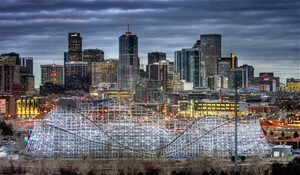 It’s also a unique confluence of rich history and abundant vitality that’s reflected in other stellar ratings Denver regularly receives, including being the fittest city in America (according to Forbes) and among the greenest (the Economist Intelligence Unit, part of Siemens) and most innovative (Fast Company). Denver is an optimistic place. (Hey, if the more than 300 days a year of sun don’t keep your mood elevated, try some of the famous craft brews!) But what insiders know – and you’ll soon discover – is that beyond labels, Denver has an authentic heart and soul. It’s confident, without being overbearing. 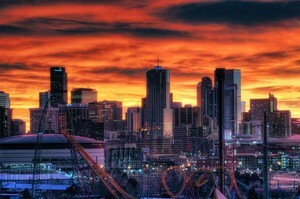 Despite being the Mile-High City, it’s completely down to earth. So you’ll feel welcome whether you decide to live in urban environs (the progressive Highlands neighborhood is among the hottest right now), or in the surrounding suburbs and beyond (Golden stands out with its great schools, charming main street and genuine best-of-the-West flavor: The annual Buffalo Bill Days is just one of many celebrations). Either way, you’ll have easy access to world-class sports, recreation, arts, cultural and entertainment options, with plenty to entice singles, couples, families and empty-nesters. In downtown’s LoDo, you’ll be able to experience some of the most famous landmarks of Denver’s frontier roots and independent spirit. The State Capital Building, Union Station, Larimar Square and the Molly Brown Museum (yes, the indomitable Titanic survivor resided in Denver) — they’re all here. But back to your move. We know it feels overwhelming. You’ve got a lot of decisions to make. And we’re here for you. Use our search to get a feel for what kinds of homes are available. Browse around our site for more details on neighborhoods and other essential info. And be sure to sign up for our daily emails for great tips. We want to be your personal moving-to-Denver coach. So we also hope you’ll contact us, or give us a call at 800-392-1950. Oh, and here’s one more locals-only tidbit. Hidden atop one of the most popular of the area’s many mountain biking trails is a cooler stashed in a secret spot and kept stocked with energy drinks and eats by a local school group. You take what you need to fuel up and leave what you can in the donation box. Yup, payment’s on the honor system. Just one more example of Denver’s laid-back congeniality. We mentioned we love living here, right? You will, too.